Caribbean dreaming lead to the creation of this quilt, when I fell in love with Jamaican culture through dance and music last year. 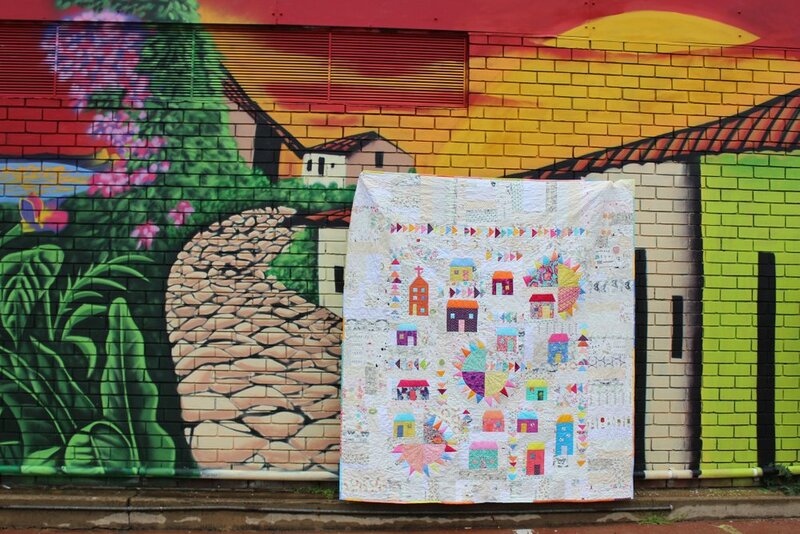 This quilt aims to capture and celebrate the riddims, spirit and irie vibes I found in Dancehall. Bonus pic of me with my dance crew at the end of this post! 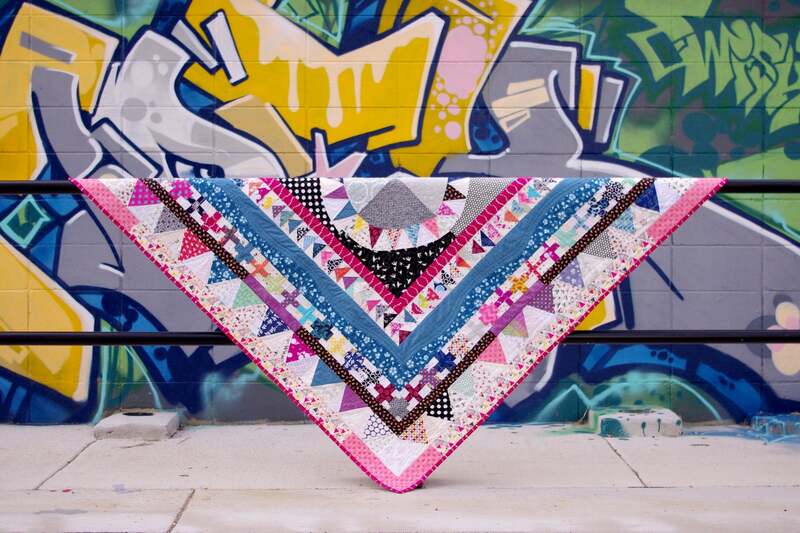 Download the Caribbean Dreams quilt pattern now. Yas! Caribbean dreaming… Take me to the beach! I love me some little house blocks and I was craving to create a whole bunch of them last year. A long journey down the pinterest black hole one day lead me to Caribbean houses with all of their beautiful sunshiney colours and simple facades. Add in my dancehall vibes and I had the beginnings of this quilt. 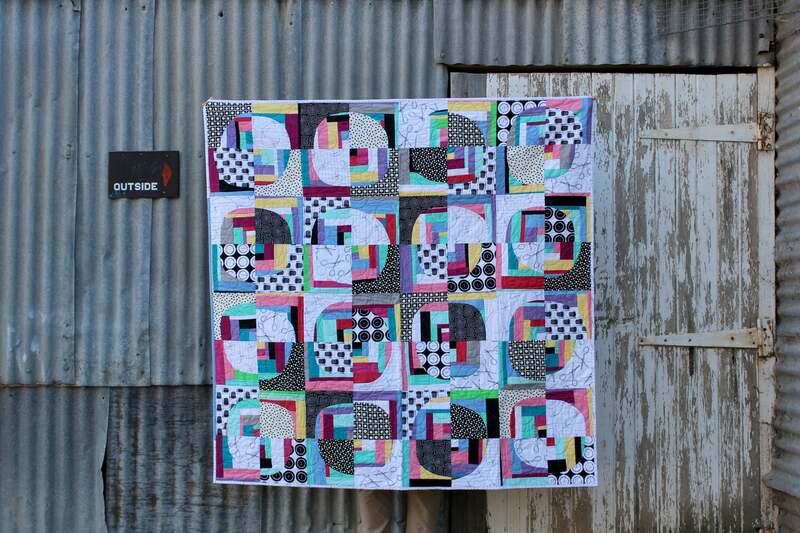 This quilt was created using a whole bunch of improv that was joined back together using ‘magic blocks’. All I do is square them up to one of three standard sizes and they will always fit back in together. It frees me up to create whatever I want, but saves the the drama of getting them all back together. Gahd I love that low volume background against the tropical colours. I used as many fabrics as possible to try and keep it interesting, while still being quiet enough to show off the feature pieces. It reminds me of sand – when you look at it closeup, it is not a uniform colour, but from a distance, it seems like it is. And depending on what beach you are on, it may be white, beige, black or red! My own home is a renovated ex government home which was built in the 1970s. From the street, it looks like an old, yellow cottage house and the inside is a modern open layout house that is much bigger than you assume. My sewing space is in the front living room, which was never used until I took it over. My sit-stand sewing table holds my Juki and faces the street where I can enjoy the sunshine and watch the word go by and the leaves on the trees change colour throughout the seasons. Look closely and you can see it in the quilt. What does dancehall have to do with quilts? Inspiration can come from anywhere. If you keep your mind open to ideas they will always find you! One of my favourite ways to unwind and keep fit is to go dancing, and my current favourite style is Dancehall, which was started in Jamacia. A derivative of Reggae, Dancehall started in the 70s and is getting more and more popular all the time.I have never been to the Caribbean, but would love to visit. The colour, the food, the music and the dance. I would definitely love to learn more straight from the source and soak up the local style and culture if I get the chance. Download the Caribbean Dreams quilt pattern now. 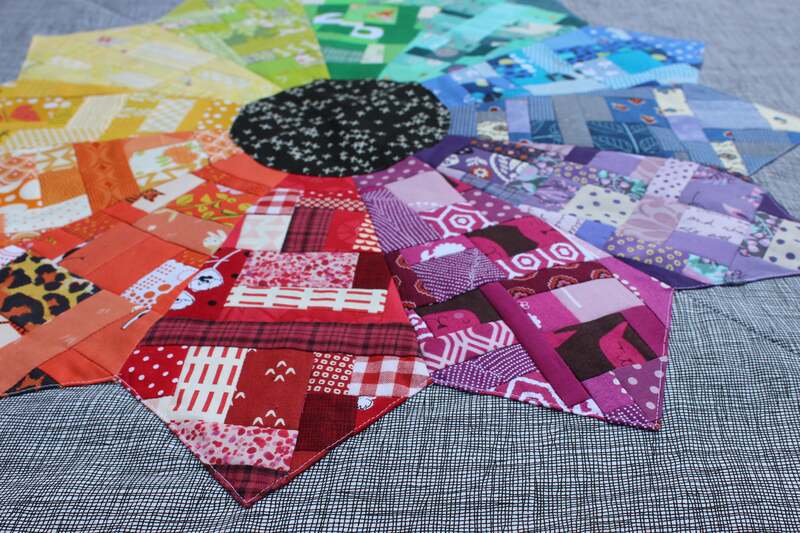 I can’t wait to see what you come up with for your very own Carribean Dreams quilt. Will you try a different layout? As always, I would love to see your progress and finished products. 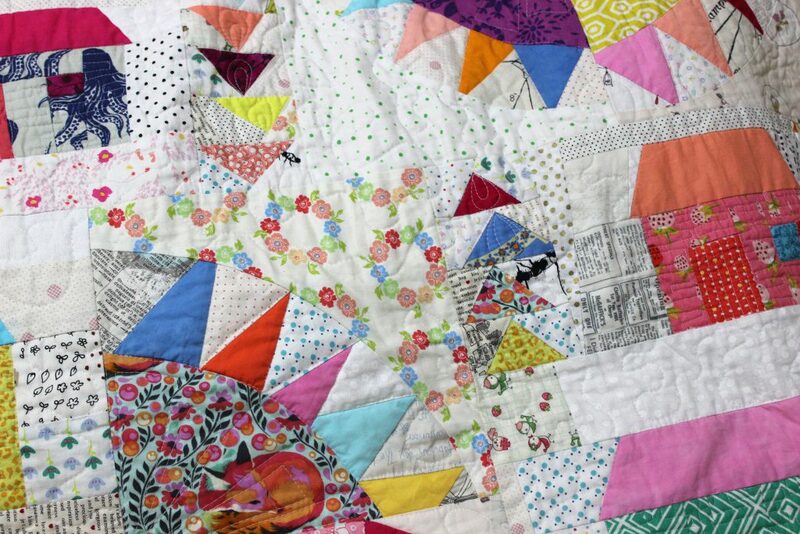 Post and share your quilt using the hashtag #carribeandreamquilt on Instagram and we can all share in the quilty love!